Busi Sithole, joined HE2RO in 2009 and works as data capture and interviewer. Her duties include capturing data from clinic files, entering data into different electronic records systems and doing data cleaning. 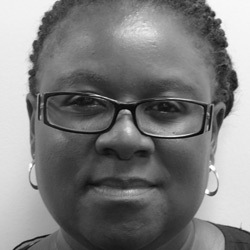 Busi has worked in a several studies which include the “Costs and Outcomes of paediatric ART in South Africa”, the “Nurses Initiated and Managed Antiretroviral Treatment for HIV/AIDS in South Africa (NIMART) study”, as well as the “RapIT Comparison Track 2 and RapIT NCD”. Prior to joining HE2RO Busi worked as a counsellor and as an assistant to a pharmacist at Charlotte Maxeke Hospital.